Designed by Swedish Bornstein Lyckefors Architects, this villa is located east of Gothenburg in Öjersjö. This building is a modest contemporary black wooden house overlooking the beautiful lake of Stora Kåsjön. 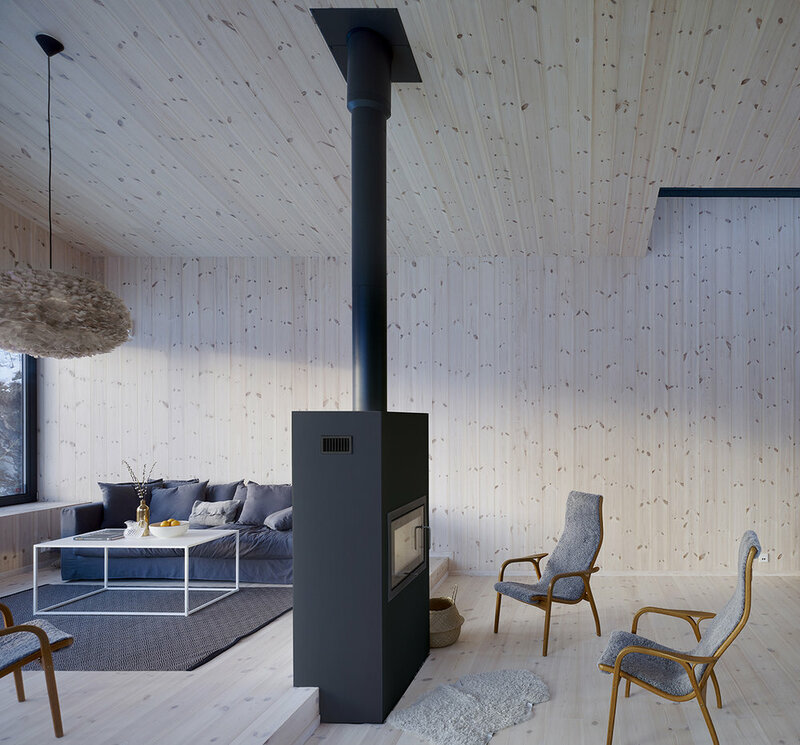 The Öjersö-house is a wooden house with a solid tree interior. The exterior is boards with black calcimine colour. The dark exterior is put in contrast to the solid wood interior. The roof has a smooth gradient, leading from the bottom floor containing the garage, towards the main point. The contours of the surrounding landscape is covered in 3 volumes, in cubic forms. The garage, living room and the remaining house acquire extra space because of the porch roof that ends 2,5 floors up into the highest point of the house.